Since the beginning of time, women have been preoccupied with preserving their youth, trying everything from essential oils to facial massages. Modern science has yet to come up with a way to stop aging altogether, but it has surely gained some success in slowing it down. One of the most effective treatments to hide the frown lines are Botox and Dysport injections. Both agents are neurotoxins (botulinum toxin type A) used in cosmetics to smooth out fine lines and wrinkles. So what is the difference between the two and how does one decide which treatment to choose? Botox by Allergan has been on the market for over 20 years now and has become a household name for beauty injections. 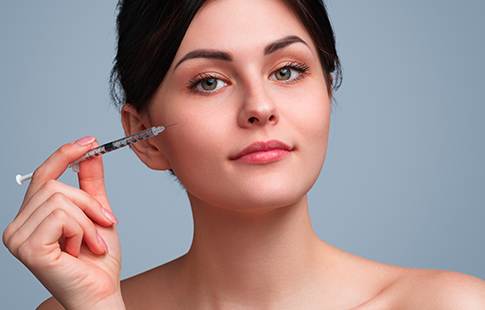 Thanks to its high efficiency and safety, Botox has quickly gained a good reputation and popularity. But its monopoly ended in 2009 when a competing company Medicis introduced an alternative treatment called Dysport. Both products are FDA-approved and have similar formulas, yet they are not interchangeable. Dysport is more diluted than Botox. This means that you will need more units of Dysport than that of Botox to achieve the same results. Dysport is also lower in price per unit, but the final cost of Botox and Dysport treatments is usually about the same. Dysport diffuses more than Botox which means it allows to cover a larger area in fewer injections. However, if precision is key in your specific case, it is better to go with Botox. Dysport formula contains smaller molecules than Botox. Hence, the latter takes a bit longer to diffuse and start working. The results of Botox treatment fully establish in about 72 hours, when Dysport requires only 24 hours. 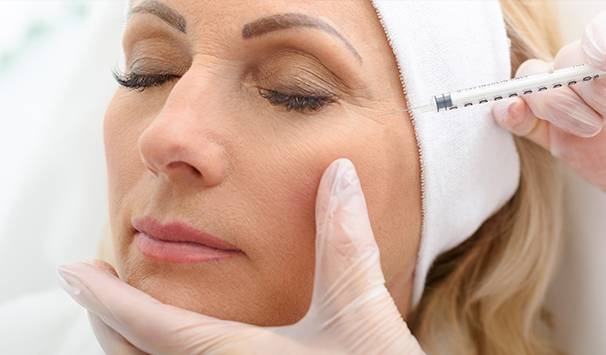 Iuventus medical center offers both Botox and Dysport injections at affordable prices. Make an appointment with one of our qualified specialists to erase 10 years off of your face in less than an hour! Botox or Dysport for forehead lines: Which one is better? Botox is approved for minimizing forehead lines and crow’s feet. It works for patients with both mild and severe wrinkles. Whereas, Dysport is more suited to treat glabella lines which occur between the eyebrows, and it is meant for people with moderate to severe wrinkles. Please note that only a doctor can determine the severity of your particular case and recommend a proper treatment that will work best for you. Iuventus specialists have vast experience in the field and will help you reach the desired result in just one session. Should you use Botox or Dysport for jaw slimming? Many people have a condition called Bruxism. Simply put, they grind their teeth, oftentimes without even realizing it. Sounds quite innocent but in reality, constant grinding can wear down your teeth and damage the gums. What is more, it can cause your jaw muscles to become tense and build up, making your face look “square” and less feminine. Neurotoxins like Botox and Dysport are successfully used to relax the jaw and prevent teeth grinding, giving you a softer face line. If you have any questions about the cost of Botox and Dysport injections or the procedure itself, don’t hesitate to get in touch with us!